Most people start thinking about flying from a very young age, they may have seen a movie, or a TV show that gets their propeller turning or they see an airplane go by or simply are enthralled by the majesty and freedom of the birds, and the bug bites. 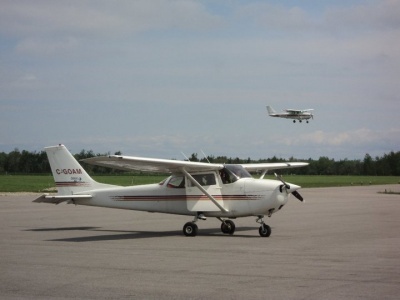 You may choose to fly for pleasure or business or want to become part of the aviation industry; there is no wrong reason to want to learn to fly. Employment in an exciting industry that can be very lucrative. There is always a growing need for well trained, intelligent pilots. Become a pilot and see the world. Escaping from the two dimensional world. Flying takes you to a different world with new perspectives. Distances shrink and your perspectives change. You start thinking of your world from above unlimited by the roads on the ground. Your senses become tuned to the world of flight, no longer limited by your cares, concerns and duties on the ground. 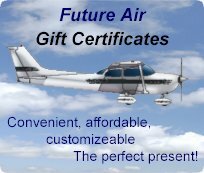 Become a pilot and escape to a different world. Exploring new places. Learning to fly frees you to explore the world - from 25 miles to 600 miles. How far you go is completely up to you. Become a pilot and expand your horizons. Expanding your personal appearance and development. The ability to share the experience of flight with others can provide an introduction to the people that you want to be with. Experiencing a feeling of freedom, and accomplishment. Learning to fly is a lot easier than people think. The information provided in this section will help you choose which course is best suited to you. Once you have made your decision please contact us and we will be happy to get you started on your way to achieving your goals in aviation.